Kill Dr. Frank N. Furter and go back to his home planet with his sister Magenta. I'm your new commander, you now are my prisoner. We return to Transylvania, prepare the Transit Beam. Riff Raff is the secondary-turned-true main antagonist of The Rocky Horror Picture Show. He is the servant of Frank N. Furter, along with his sister Magenta. He was the first resident of Frank's castle to meet Brad and Janet. He and Magenta assist Frank when he creates Rocky (Riff Raff is implied to have done most of the work, but Frank takes the whole credit). Later, Riff Raff scares Rocky out of the laboratory and tells Frank that Rocky escaped. However, Frank finds out that it was Riff Raff who set Rocky free and punishes him by punching him with a lash. When Frank is using his guest for his macabre show, Riff Raff and Magenta appear, singing that Riff Raff is now their leader and they will return to their planet of Transsexual, Transylvania. When Frank sings that he wants to stay, Riff Raff explains that he meant that only he and Magenta will return home and shoots Columbia to prove the power of the antimatter-laser he's got. He finally kills Frank with the weapon and also kills Rocky. Then, he tells Janet, Brad and Dr. Scott to leave. Before the house flies away, he and Magenta sing the reprise of the song "Time Warp". He was portayed by Richard O'Brien, the man who invented the whole musical. O'Brien is also notable for playing Fico in 1980's Flash Gordon, and also presenting the first four seasons of cult classic 1990's game show The Crystal Maze. 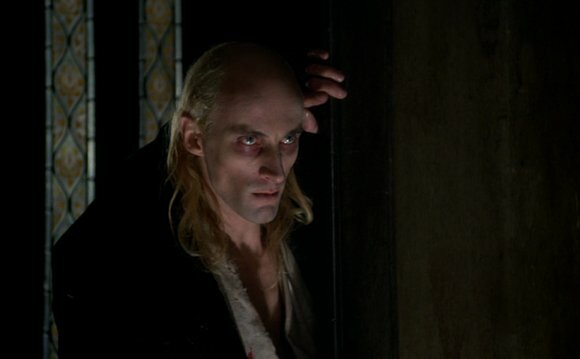 Ironically, his Crystal Maze successor, Edward Tudor-Pole (from the rock band Tenpole Tudor), also appears in this film. He is not really evil, as he apologized to Dr. Scott after his nephew died and allowed him, Brad and Janet to leave before their house disappears. On the unmade sequel for The Rocky Horror Picture Show, called "Revenge of the Old Queen" (The script's first draft can be found complete on the Internet), Riff Raff has gone mad, and killed Magenta on their trip back to Transylvania. A line on the script hints that Riff Raff and Magenta are Cosmo and Nation McKinley from the indirect sequeal to TRHPS, "Shock Treatment", a 1981 movie written by Richard O'Brien starring Brad and Janet, the main characters of TRHPS, but unrelated to the events of Rocky Horror.